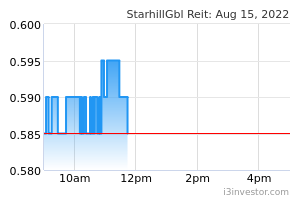 Starhill Global REIT (SGREIT) reported its 2QFY19 results which came in slightly short of our expectations. Gross revenue and NPI fell 2.7% and 2.4% YoY to S$51.0m and S$39.5m, respectively. 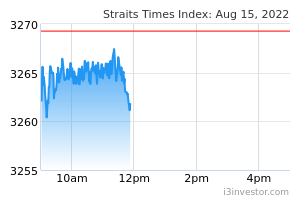 The drag came largely from weaker performance at Wisma Atria (retail) and depreciation of the AUD against the SGD, but partially offset by a strong rebound in Ngee Ann City (office). DPU declined by 3.4% YoY and 1.7% QoQ to 1.13 S cents. The YoY dip was attributed largely to the lower NPI, higher finance costs (+5.2%) and slightly lower payout ratio of 98.0% (2QFY18: 99.4%). Although the YoY decline in DPU was not a surprise to us, we had expected a sequential uptick in DPU on a QoQ basis. For 1HFY19, SGREIT’s gross revenue and NPI both fell 2.3% to S$103.1m and S$79.9m, respectively, and both figures formed 47.1% of our FY19 forecast. DPU of 2.28 S cents represented a deterioration of 3.8%, and this met 48.2% of our full-year forecast. Operationally, Wisma Atria (retail)’s actual occupancy increased 2.1 ppt QoQ to 93.5%, while committed occupancy was 97.6%. However, this came at the expense of rents. On a positive note, tenants’ sales grew 2.9% YoY in 2QFY19, and this was the first YoY increase since 1QFY18. Another positive development came from Myer Centre Adelaide (MCA), which finally secured a new anchor tenant for its office component, thus lifting MCA’s overall committed occupancy to 91.7% (office component’s committed occupancy more than doubled to 74.8%). We will provide more details after speaking with SGREIT. Since we upgraded the stock to a ‘Buy’ on 17 Aug 2018, it has delivered total returns of 9.1%. As current share price is close to our fair value of S$0.74, we are placing our BUY rating under review.